Image of Yosemite. 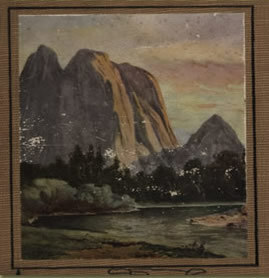 From Yosemite and its High Sierra by John H. Williams, Tacoma, San Francisco: J.H. Williams, 1914. Ralph Waldo Emerson, Henry David Thoreau, and Aldo Leopold are just a few of the names that come to mind when thinking about iconic environmental writers. These men, and a few women like Mary Austin, strove to show how people should live in and with nature. Many of the authors urged readers to cease the careless destruction of the world around them. The select works showcased in this section discuss early concerns about conservation, nature, and the American environment, themes that continue to be part of people's lives today.